When it comes to charging tenants for water, the Residential Tenancy Authorities require that property is water efficient. This is where a plumber comes in. As a way of proving water efficiency, property managers or owners may ask a local plumber to conduct a water compliance test so that the property may receive a compliance certification. One of our customers required this certification. The following details the process our plumbers in Cannon Hill went through in dealing with this. As the property in Cannon Hill was vacant, we organised to pick the keys up from the property management office.Upon attending the site, we went straight into carrying out a water compliance test. The first steps of this test were ensuring that the taps, showerheads, toilets and other fixtures operated at the correct number of litres per minutes respective of the item that they were. After this, we checked for any visual leaks and inspected that all the toilets were dual flush. While we were able to accept that this property had passed the water compliance test, we also found that the hot water unit did not have a property discharge point, and the relief line just filled underneath the laundry floor. This was quite serious as a relief line should be running to a proper discharge point. Immediately, we contacted the property manager and advised her of the situation. She responded with a request for a quote of the work needing to be done, of which she would ask the owner for approval. 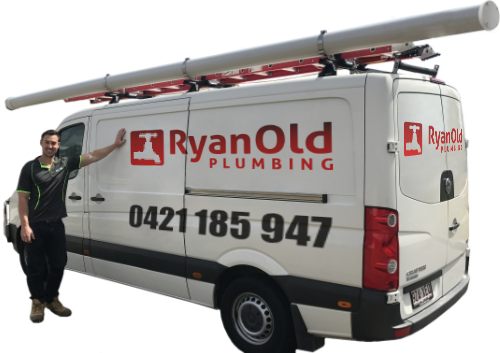 Ryan Old Plumbing generated and sent a quote. This quote detailed the services of re-running the relief line from the hot water system through the brick wall to the overflow relief gully. The property manager contacted Ryan Old Plumbing a few days later with the approval to conduct their services in re-running the relief line. We ensured that the same plumber who assessed the situation in the first instance returned to the property and carried out the job. The property manager now not only has a water compliance certification for the property, but the hot water system relief line fits plumbing standards. This Cannon Hill property is ready for occupancy. "We have worked with Ryan for years and they have always been reliable and professional in the way they handle our properties."